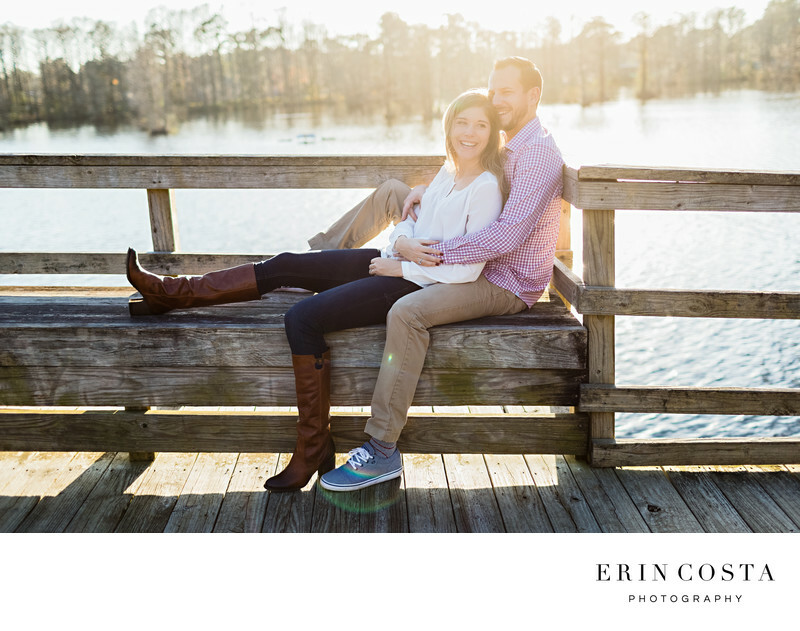 Greenfield Lake Park and Gardens is one of my favorites places to photograph engagement sessions in downtown Wilmington. The bridge that crosses over the water is perfect to curl up on for some photos. The beautiful back light coming in from the setting sun mixed with the beautiful winter light makes for the perfect photo combination. These two look like they belong in a magazine don't they? Location: 1739 Burnett Blvd, Wilmington, NC 28401.